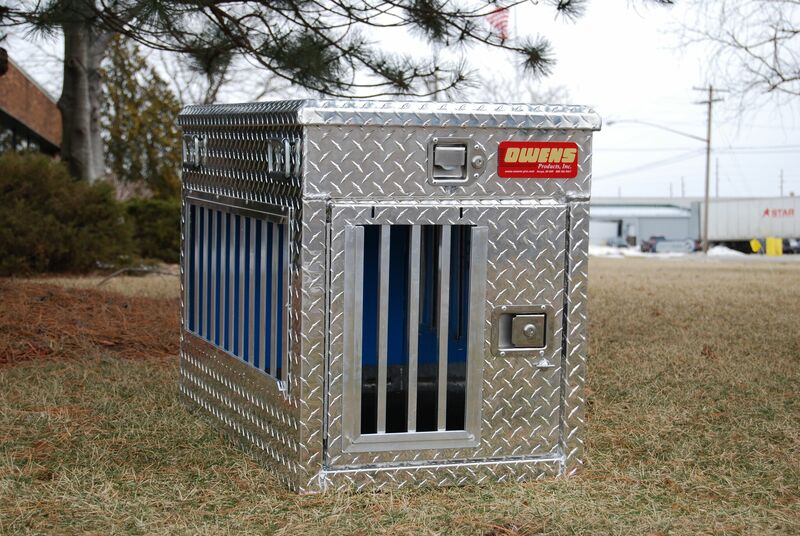 Transport your four-legged hunting buddy to and from the field and range in comfort and style with Owens Products' Hunter Series Dog Box with Top Storage. This single-compartment dog box features a rugged diamond-tread steel construction with durable, easy-to-clean rubber floor and four-season vents with storm covers. Locking latch door also includes a storm cover for use during inclement weather conditions. Built-in top storage compartment is ideal for stashing dog accessories and hunting gear when not in use. Made in USA. 38"L x 21"W x 26"H.
Dog compartment: 20"H x 21"W x 37"D.
Storage: 5"H x 21"W x 38"D.